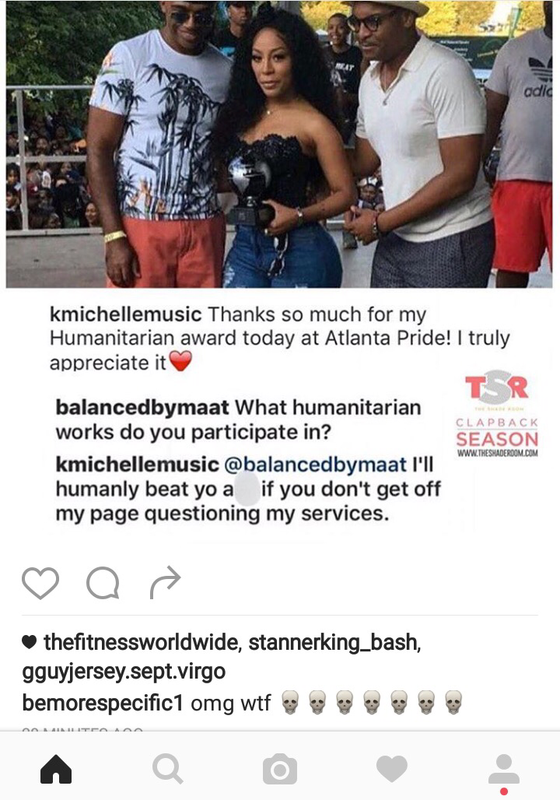 Humanitarian Award Winner: K. Michelle Claps Back. 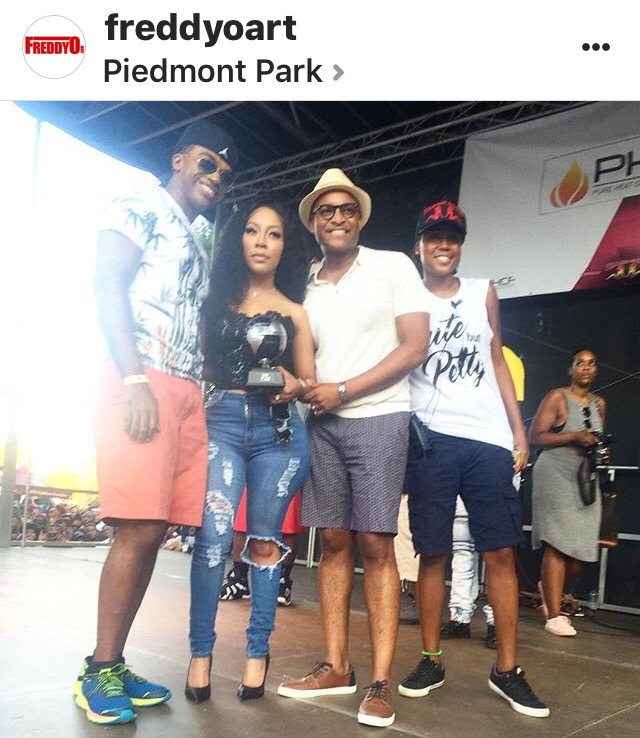 Today in Atlanta, K. Michelle hit the main stage to perform as a part of the Black Gay Pride Festivities. Upon her arrival on stage she was presented with a humanitarian award. Upon her acceptance speech, K. Michelle executed her engagement with the fans and a mini concert with some fan favs from her musical catalog. As we know, everything that glitters isn’t Gold. So let’s talk! 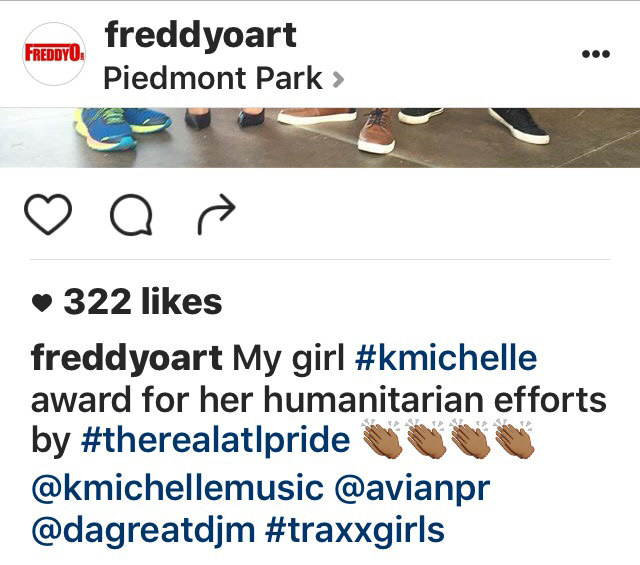 K posted a visual with reference to her award and was met with inquiry from a fan. In traditional K. Michelle style, she went back to her Memphis roots and got brawlic. a person who seeks to promote human welfare; a philanthropist. Though we may not know all that K. Michelle does when the cameras aren’t around, the fact still remains that her brand has been tarnished with alleged hatersaion, lies, and social media wars. With this is it not understandable for one to make the inquiry of why SHE of all people would receive the Humanitarian award. Instead of taking the high rode she slips back into her Gay Boy Mode and attempts to read for Filth! K, no shade Ma but have SEVERAL. 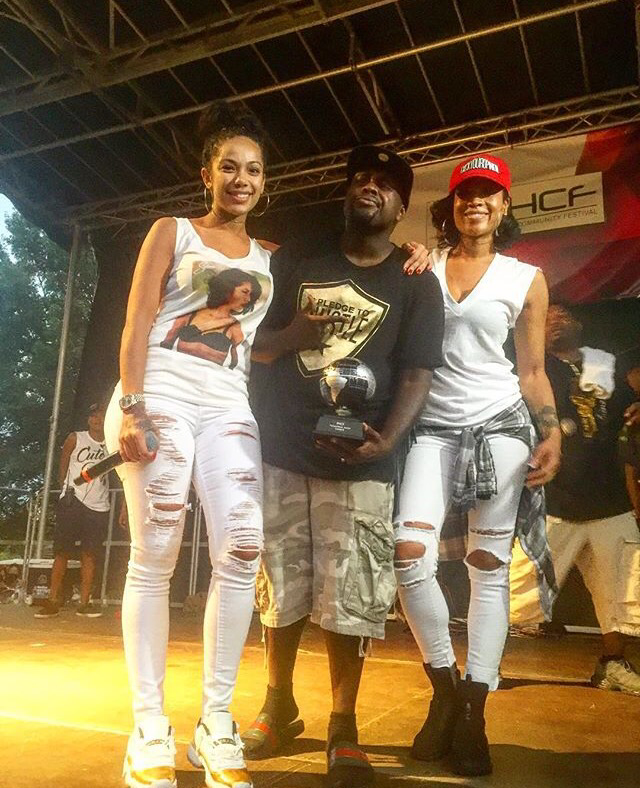 In any case, we don’t blame K. Michelle, she’s just the recipient. Blame it on the powers that be who chose her. 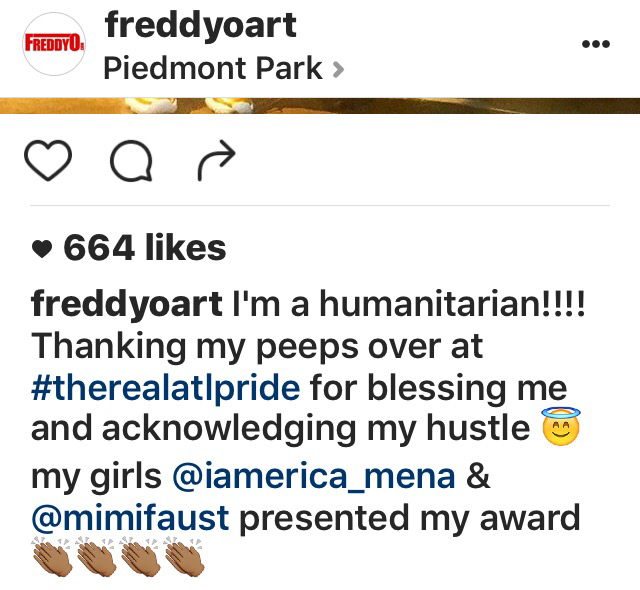 No Shade, but these are the same ones that got Erica Mena and MiMi Faust to come out today and present the award to Freddy O. as well!!!!!! Really??? We infer the only pre-requisite to qualify is to be a Messy Queen! #TSB. Tell us what you think Booker’s. Soundoff!